Less than half of sick convicts released for health reasons - Penitentiary Service | Russian Legal Information Agency (RAPSI). 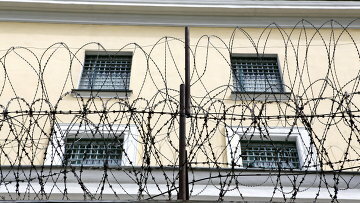 MOSCOW, June 25 (RAPSI) - Just over 40% of convicts with grave illnesses are released for health reasons, Alexander Tikhonov, deputy head of the medical and sanitary department of Russia's Federal Penitentiary Service, said Tuesday. At the same time, the authorities have optimized the medical appraisal practice in the past three years, and the number of motions filed to courts to release sick convicts is growing. "However, despite the improvements, only 42.6% of convicts are eventually released," Tikhonov said at the Penitentiary Service's public council meeting. "This level is low, of course, but trust me, we are making every possible effort. We issue unbiased conclusions if a person is seriously ill."
Courts are frequently guided by other factors in addition to a convict's state of health, such as the gravity of the crime committed, or whether the individual has family who would take care of the sick individual, he added. According to earlier reports, 15 sick convicts were released in Moscow in 2012, or twice as many as the year before. 14:46 25/06/2013 Just over 40% of convicts with grave illnesses are released for health reasons, Alexander Tikhonov, the deputy head of the Federal Penitentiary Service's medical and sanitary department, said on Tuesday.